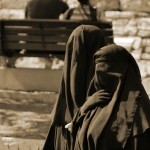 Yesterday, the cantonal parliament of St. Gallen adopted a law banning the covering of faces in public spaces. The law, aimed at those who threaten public security and religious and social peace, follows a debate sparked by a ban on wearing veils at a school in the town of St. Margrethen in the same canton. 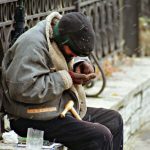 The bill was put together after the Swiss People’s Party (SVP/UDC) called on the canton’s parliament to put in place a general ban on the covering of faces in public spaces. 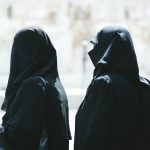 In response, the canton’s executive suggested a law that would force those wearing veils to reveal their faces when interacting with the authorities. However, in the end parliament voted in favour of a stricter set of rules by 59 to 54. Those who cover their faces in a public space and threaten public security and religious and social peace will fall foul of the new law. Both the Swiss People’s Party (SVP/UDC) and the Christian Democratic People’s Party of Switzerland (CVP/PDC) supported the move. All of the other main parties were opposed to it. 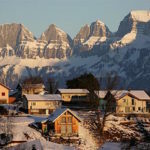 In May 2017, the canton of Glarus rejected a similar law. At the same time a federal referendum on the subject is in the works. Last week the Egerkingen committee, the group behind the initiative, made an official referendum application after gathering 106,000 valid signatures, more than the 100,000 required to launch a popular vote. Last year a poll suggested that over 70% of voters support such a ban.